Special Needs Super Moms – Page 10 – Just ordinary moms, with awesome kids! Sometimes I Like To Imagine What It Would Be Like If My Son Didn’t Have Autism. Sometimes, I like to imagine what it would be like if Bud didn’t have autism. Perception…we all see things differently, especially ourselves. When you look at a photo of yourself, you see your flaws, but when others look at the same photo, they see your heart. Two weeks ago my husband had a heart attack. And last week he had open heart surgery. These last two weeks have been horrible. I have crumbled more than once. But I noticed that when I posted updates about Hubby on Facebook, quite a few of my friends and family members commented on how strong I am or that I am “the strong one” in the family. This made me wonder what these people see in me that I don’t. So asked one of my family members why everyone has been saying that I am strong, expecting her to say that they were just being polite and encouraging. Instead she said “Really? REALLY?” I told her that I didn’t understand what everyone sees. Apparently, when I see myself as just an average mom, the rest of the world sees me as AUTISM SUPER MOM. I wonder if they realize that my laundry piles up, there are dirty dishes in the sink, enough animal dander floating along the baseboards to make another furry friend and my son hasn’t been to the dentist in a year? What my niece told me was that most mothers begin to stop being hands on when their children become preteens, and here I have been doing it for 24 years. Yes, I have to bathe and dress my son, comb his hair and brush his teeth. I may have to turn his TV on for him and prepare all of his meals. But even though I still do all that, to me, that doesn’t make me Super Mom, that just makes me Buddy’s mom. Before my son was diagnosed with autism, I was a different person. Looking back I can see how naive I was about so many things. I was superficial, vain, self centered and insecure. I was so afraid to stand up to anyone, and I took myself way too seriously. I didn’t say much for fear that I would say the wrong thing at the wrong time to the wrong person. And I was afraid of people laughing at me. When I began to see that Buddy’s father wasn’t stepping up to the plate, I knew that it was all on me…I had to make the hard decisions on my own. The first one, was to get divorced. When I told Buddy’s dad that I wanted to move several hours away and take Buddy with me, his response was “When are you leaving?” That sealed the deal for me. Now, B’s dad loves him, I have no doubt about that…but Buddy wasn’t the son that he had dreamed of. Quite frankly, I think his dad was (and still is) embarrassed by him. 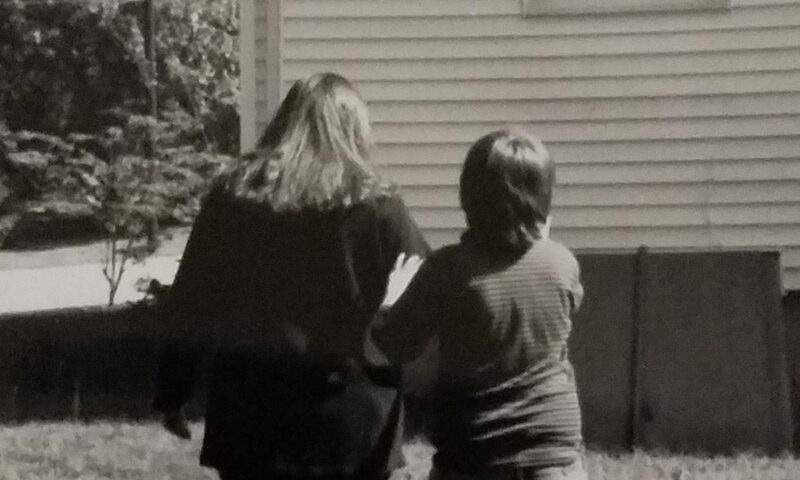 This brings it back to me…I didn’t want Buddy to ever feel that I am embarrassed or ashamed by his autism. So once we moved, I became B’s one and only, and I had to take charge. With the divorce, I had total control over Buddy. If his dad called, I had to answer the phone and hold it to B’s ear, and try to get him to giggle or make some sound so that his father could hear him. If his dad wanted to visit, I had to make the arrangements. (once even letting his dad stay at our house). When his dad refused to pay child support, or help with school clothes and Christmas, I had to make sure that my frustration didn’t show in front of Buddy. I could have easily not answered the phone. Or told his dad that he was napping or not home. But I didn’t. It wasn’t about me, I had to do what was best for B. And what was best, was making sure that he had a relationship with his father. Even to the point, of sending cards on the appropriate holidays on B’s behalf. Most of the time even putting a gift card in there. So that part of me changed. And most recently, I have noticed that I am willing to post unflattering photos of myself, as long as Buddy is “loving on me” or he looks great in the photo (it’s very hard to get a good photo of the boy). There is one that I posted just last week, my face looks like a beach ball with squinty eyes and wind blown hair, but B is looking at me with such love, that my heart fills every time I see it. Another part that has changed, is that I will sing. Now, I know that I cannot sing my way through Happy Birthday. So even at parties, I won’t sing. In church I would never sing louder than the voice in my head. Yet, last summer, we had family visiting, and I found myself singing to Buddy in front of them, just so they could see his reactions to his favorite songs. So, I guess one of the good things about autism, is that I have become a better person because of it.